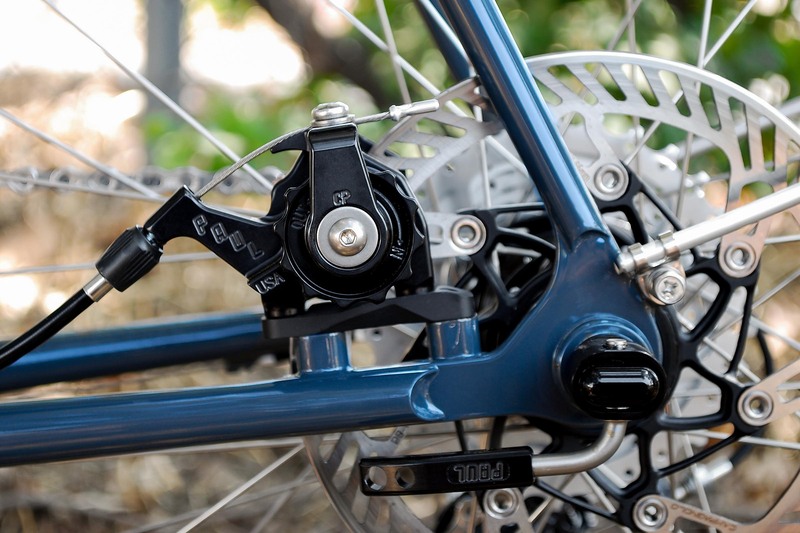 We’ve been a fan of the Paul Klampers mechanical disc brakes ever since Paul Camp last year. 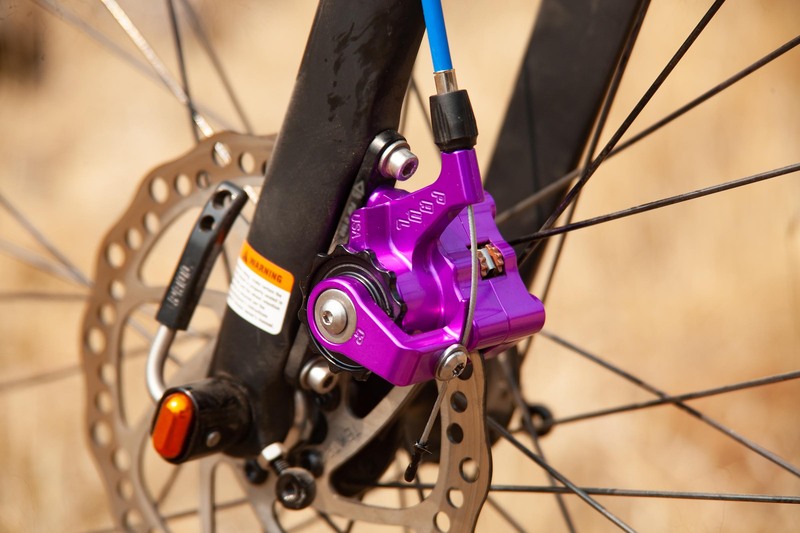 While we love a set of good hydraulic brakes, the Klampers on the camp bikes felt amazingly smooth… and looked the part too. And Paul has been busy. The Klampers were updated earlier this year to be accommodate Campagnolo’s cable pull ratio by way of a new actuator arm. Now, Paul is adding a flat-mounted version to go along with its pre-existing IS-mounted brethren. Besides moving the barrel adjust inboard ever so slightly for better heel clearance with interchangeable actuators for only short-pull and Campy-pull levers, the core of the Klampers remain the same. Each of them is lovingly machined in Chico, California with American 6061 aluminum and heat treated 12L14 steel with dual independent pad adjustment and is available in a plethora of colors: All-black, all-silver, silver with orange pad adjusters, black with orange pad adjusters, polished and limited-edition colors as illustrated by this purple one. And unlike the iPhone where you have to wait and pre-order after the launch announcement, the Klampers are available now for $208 each.